I picked up Joe and Sheryl Valesko (Zpacks) yesterday. They flew into Auckland non-stop from their home in Palm Bay Florida. I became their first "Trail Angel" as they prepared to start their through hike of the Te Araroa trail (The length of NZ). Checkout www.teararoa.org.nz We spent the day getting DOC annual Hut Passes, food, bank and bus connections North to CapeReinga. 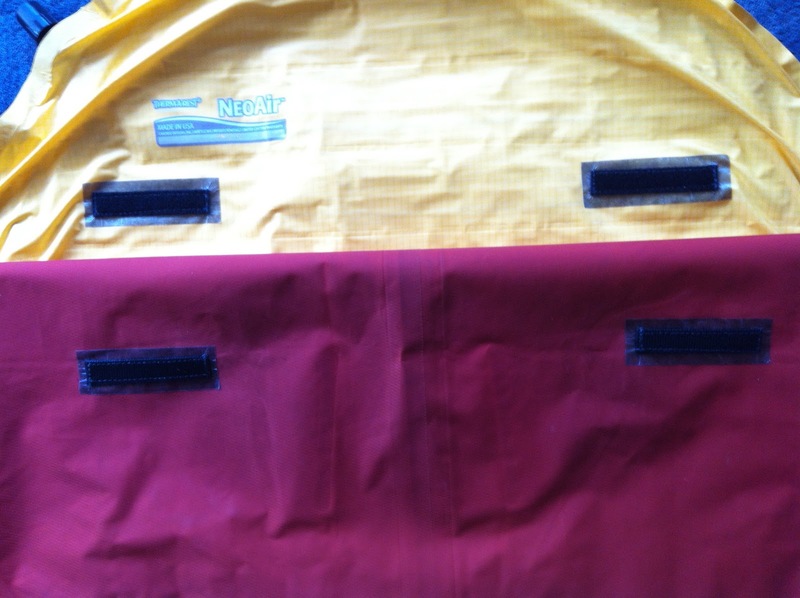 Cuben fiber shorts to go with my cuben fiber rain jacket. I decided to get Joe to cut the legs off his pants design to make them into shorts that I can slip over my normal ones, or use them over my underwear only if it looks like a rain soaked day. I am looking forward to testing this option in Fiordland at Chrismas. The Blast cuben fiber food bag - mouse and waterproof! A new full length NeoAir Xlight - OK it's almost double the weight of my current short Kooka Bay pad, but after 40 plus years of "roughing" it I am going the extra 150gms for great R factor, full length (no more cold feet) and being able to attach my Mont Bell pillow on top of mat. To this end Joe gave me a great idea. He bought down some velcro strips sewn onto cuben fiber tape. I stuck the female side on the mat and male on the pillow - it works great. I have attached a couple of pictures below. I dropped Joe and Sheryl off at the bus depot 7am this morning and they took off for Kaitaia intending to hitch to the cape to start NZ's long trail later today. The trail passes my house in Milford, so I will have a BBQ, Beer, bed and hot shower waiting for them in a couple of weeks as they pass through. What a fantastic journey they are going to have. It’s so reassuring to have some back up as well if ever they need it. I had a look at the trail when we were over earlier in the year. We spoke about doing one island but to do both is indeed a challenge. Cuban fibre gear is just so expensive here in UK. 1 man tent at £1000. Tried to put some comments on your photo's but it's not having it for some reason. I was going to say you seem to have a lot of shell tops but your last tramp looks awesome. I havn't got into Zpacks and i havn't seen one in the flesh. I'm not sure i know anybody with one here. If Joe would like me to review one here on a trial and return basis i will be happy to do it. The MLD Trailstar has taken off in leaps and bounds btw. Sorry guys, in an early post I referred to Joe's pack as an Exo (that is an earlier model). On the NZ trip he is using the Arc Blast. Lots of options with this pack. Alan - Not too sure off the top of my head of exchange rates for you but Joe's prices for cuben (that's all he does) is way below this! Yes Alan, I have see many UK post on Trailstar. This is my "go-to" two man tarp. We took this on the JMT, only used it twice, cowboy camped all the way. This tarp is bullet proof. 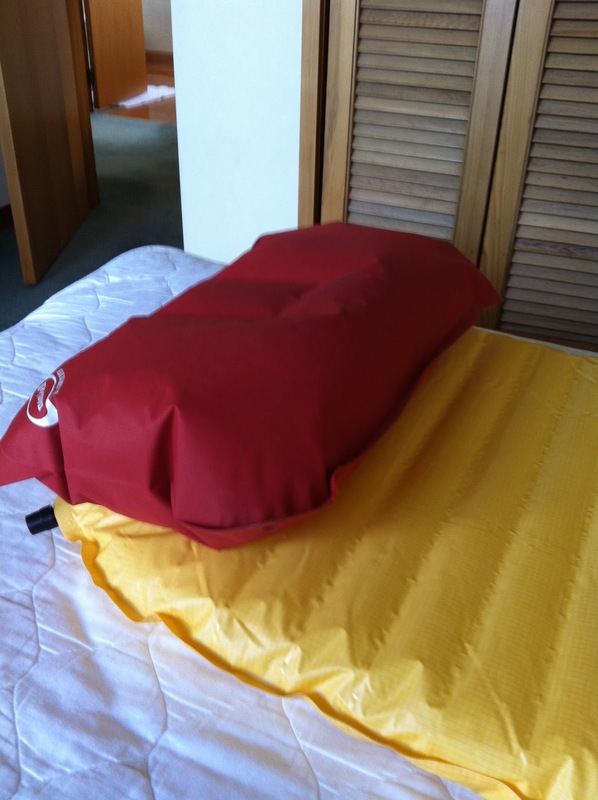 MLD also do it in cuben. Great story. 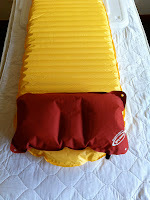 I have just become the owner of a Zpacks quilt and a Hexamid with netting (in the lighter cuben though). Whilst I was ordering all this Joe and I had exchanged a few emails on the Te Araroa, so it is exciting to see him under way. If you are in contact with him at all feel free to pass on my contact details if he needs any help whilst in the Wellington area (the trial comes near my house). You have my contact details from emails we exchanged a few months back. Jason I have weakened - I have my Macpac 300 Adventure bag on trade me now and also just had an offer for my Western Mountaineering Summerlite bag. If (more like when) I sell the both I am getting Joe's (Zpacks) 20 degree bag. Jason - I gave Joe your details - he will email you when he gets close to Wgtn. He left Auckland today - heading into a tornado!!! Jason - Interested in discussing the quilt - never been able to get my head around this concept of cover on top and not much underneath. I use a WM Highlite bag (455gms). Joe and Sheryl will be passing our house in a couple of weeks (Milford Beach) and dropping in for a shower, BBQ and bed!). I will certainly mention that you want to look after him in Wgtn.